Helpful Links - Below you will find a list of helpful links, lists and resources you may use as a list to aid in your risk. We are providing the various Governance and Administration Centers in India which is useful for students or people who are searching the Governance and Administration Centers in India. 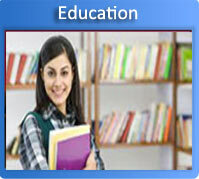 Following is the list of Governance and Administration Centers and useful links in India. e-Procurement System, Government of Madhya Pradesh, Bhopal. General Administration Department, Government of Madhya Pradesh, Bhopal. Gyandoot Project, Dhar District, Government of Madhya Pradesh. Ideas for Chief Minister, Madhya Pradesh.